Whether it’s a signature flop on a slice that defines New York City or a Primanti’s sandwich in the ‘Burgh, every major city in the US has a culinary culture that’s built by its surroundings. With that being said, rarely do we get a chance to have an authentic taste of another city here in Pittsburgh without busting our budgets. A family from Detroit, Michigan decided to bring the taste of their culinary culture right to our backyard with Michigan & Trumbull Pizza. Behind The Children’s Museum of Pittsburgh lies a food hall filled with up-and-coming restaurant concepts under the name of Federal Galley. One of these restaurants is Michigan & Trumbull Pizza. 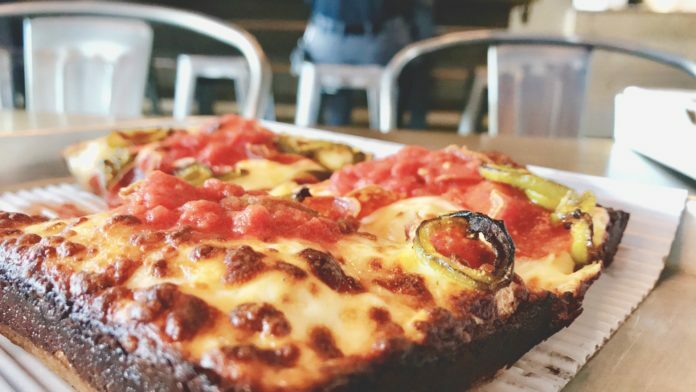 “Both Detroiters and Pittsburghers are really proud of where they come from”, says Detroit native and co-founder of Michigan & Trumbull Pizza Kristen Calverley. With the name of the restaurant paying homage to the cross streets of the original Tiger Stadium, Kristen holds pride in Detroit but knew that her dream of opening this facility wasn’t going to be possible due to Detroit’s underdeveloped scene. Both her and co-founder Nate Peck both knew that Pittsburgh is where the opportunities awaited. 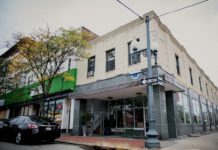 While in Pittsburgh, Kristen and Nate tried several pizza places hoping to find the perfect slice. After becoming exhausted in the search, they decided to make their own Detroit-style square pizza. When experimenting with several types of dough and cheese combinations, Nate finally settled on the perfect pizza which acts as the base for every pizza on the Michigan & Trumbull menu. The pizza is light yet very flavorful and edged with a crust that doesn’t crumble. The pizzas are also cooked in the same repurposed pans from former automotive plants. To this day, Nate still tweaks with these recipes to hopefully find something revolutionary once again. Kristen claims, “For us, pizza is a way to still access home while being so far away”. Both her and Nate are motivated daily by their two children who they hope to secure a future for with this business. 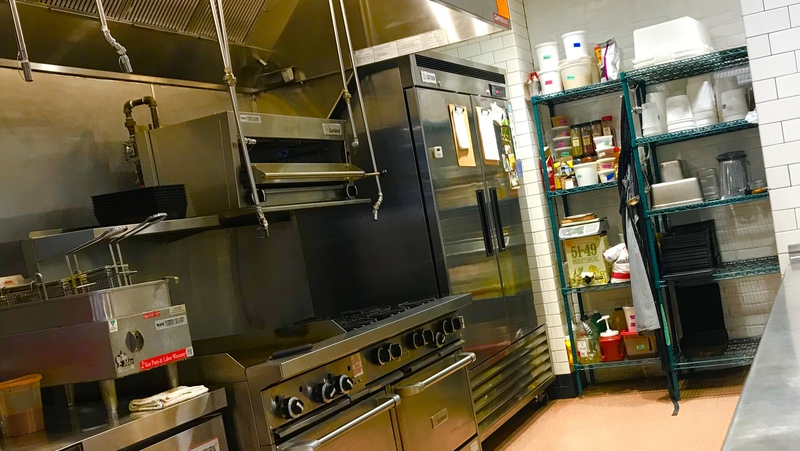 Michigan & Trumbull wants the customer to receive a fine-dining experience at an affordable budget as they hope to share their dish with the masses. In the future, Kristen and Nate hope to see their restaurant in a brick-and-mortar space that they permanently call home.